Looking to go trekking in Thailand? I don’t blame you. Thailand is renowned for its rolling hills, lush jungle and towering peaks. If you need some help planning your trip, and some tips on staying safe and what to pack, grab a drink and saddle up for the next 10 minutes, as we explore the best trails in Thailand. The best trekking in Thailand is undoubtedly found in northern Thailand, so it will come as no surprise that this section has a huge number of options. In fact, you could do three trekking holidays and still not cover all the wonderful trails available in this part of the country. Thailand’s Jewel of the North is a scenic departure from the beaches of southern Thailand. Complete with rolling hillsides, lush valleys and plenty of opportunities for outdoor exploration, Chiang Mai is a nature lover’s paradise. Whether you’re looking to interact with hill tribes or hike through lush national parks, Chiang Mai province is the perfect springboard from which to experience all that northern Thailand has to offer. 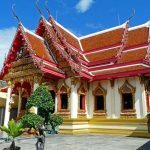 While the mountain that holds Chiang Mai’s most beautiful temple is easily accessible via songthaew or bicycle, a more beautiful, and challenging, route lies in the Monk’s Trail that runs from Suthep Road to the glittering complex of Wat Phra Doi Suthep. To access the trail, drive to the end of Suthep Road (past the university) and follow a sign that reads ‘nature trail.’ Walk towards the TV tower and you’ll find the base of the trail complete with a map. Follow the orange swaths of cloth tied to the trees and you’ll reach the temple, after much scrambling. It’s well worth the nearly two-hour long hike to the top! Explore Thailand’s tallest, and most beautiful, peak. Make your way to the national park via motorbike or van (inquire at your homestay or hostel), and make your way to the nature trail, which will be clearly marked. You can hire a guide at the base of the peak, which will be money well spent because you'll learn all about the area's flora and fauna along the way. If you travel just a few kilometers from Chiang Mai’s city center, you’ll spot an oasis complete with a glittering lake, biking trails and waterfall. If you’re inclined, hike the 7 km round-trip loop, which will guide you past Dtaat Mook waterfall and provide stunning views of the vistas ahead. Going on hill tribe trek is a must when adventuring in northern Thailand. This trek lets you explore various tribes across the country: The Karen Tribe Trek close to the Burmese border, the Lisu Tribe Trek in Chiang Rai and Chiang Mai, and the Shan Tribe Trek in northwestern Thailand are most popular among hikers. This trekking experience will open your eyes to the beauty and serenity of nature, offering a magnificent view of the hazy hills and surrounding rice fields, and to the charming lifestyle and culture of the local tribes. If you have any knowledge of Italy, Chiang Dao’s nickname — “little Tuscany” — should clue you in to just how beautiful the region is. Nestled in Chiang Mai province, Chiang Dao’s rolling hills offer the perfect respite for nature enthusiasts looking to get away from the crush of Thailand’s cities. The area is also a haven for wildlife, including over 300 different species of birds. Chiang Dao is also the only Thai district that is home to all twelve of the country’s hill tribes. The coexistence of culture, nature and serenity make this one of Thailand’s premiere trekking locales. Make sure you have a camera to snap beautiful clearings like this. This beautiful viewpoint can be accessed by visiting the northern-most region of Pha Daeng National Park in Chiang Dao. From the rolling peaks, you will witness the beautiful vistas of Thailand, and Myanmar to your west. To access Pha Daeng, take Route 1178 about 30 kilometers from Chiang Dao — the entrance sign will be clearly marked. Also located in Pha Daeng National Park is the 45th km viewpoint — located, aptly, at the 45 kilometer mark on Mae Cha – Peang Luang road. Hike to the top and you’ll be treated to a beautiful view of Chiang Dao’s renowned wildlife sanctuary below. The district’s crowning jewel is its highest peak, which also measures in as Thailand’s third largest. Trekking from the road to the peak is about 6 km each way, so experienced hikers can likely do the trip in a single day. If you’re looking to break the hike up into a couple of days and camp out, consider hiring a guide. 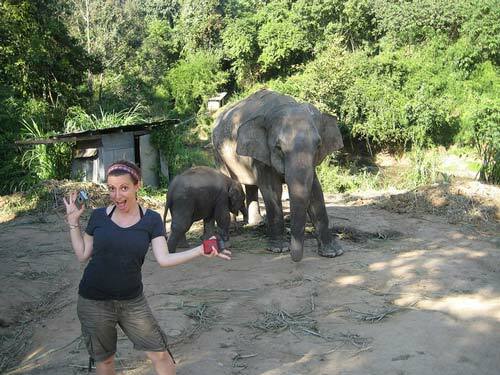 All treks in Chiang Mai and the surrounding areas can be booked through Chiang Mai trekking. Chiang Rai is Thailand’s northernmost large city and acted as the former capital during the reign of King Mangrai in 1262 CE. Today, Chiang Rai is a bustling city that lies on the Mae Kok River not far from the the Golden Triangle — the tripoint between Thailand, Laos, and Myanmar. It’s the perfect location for adventurers looking to get a taste of city life while in close proximity to the lush jungles and lookouts of northern Thailand. There may be some tricky steps along the way. Backpackers head to Chiang Rai to explore the charming city — and to ogle the province’s stunning sights. In fact, Chiang Rai is home to one of the most unique locations in the world: From the Golden Triangle you can see three countries (Thailand, Myanmar, and Laos) unfolding before you. To hike the majority of the trail, you’ll likely need to book with a tour group. Lanna Trek is highly recommended by past trekkers, and their Golden Triangle package will take you on a three day, two night trek. For those interested in wilderness exploration, this is a must! There’s a destination off the tourist beat in the easternmost section of Chiang Rai province called Phu Chi Fa. The locale is renowned among Thai families and for good reason — the views are stunning. Most travel to the location to watch the sun rise over the peaks; the valley is usually filled with clouds, creating an absolutely stunning vista. To get to the town nearest Phu Chi Fa, you’ll have to head to Chiang Rai’s bus station and locate the stand selling tickets. From the small town, you’ll embark on a (usually sunrise) hike of about 20 minutes up a steep incline. Don’t worry, the views will be well worth the early wake up! Located in Northern Thailand close to the Myanmar-Thailand border, Mae Salong offers the charm of a spectacular countryside. Despite it being mountainous, you’ll not find a jungle in the surrounding landscape; instead, you’ll be greeted with vast orchards, plantations and hill-tribe villages. What makes Mae Salong perfect for trekking is the fact it sits on top of a steep ridge, which means that you can expect vigorous climbs and descents in this hiking experience. Offering a distance of 13 kilometers, Mae Salong also provides hikers the opportunity to try their own Oolong, a famous Taiwanese tea. If you’re looking for a small, friendly town for your next hiking trip, Mae Sariang may just be what you’re looking for. Compared to other town districts in Thailand, it remains untouched by tourism, and this little but charming town treats you with a picturesque landscape of forests, mountains and rice fields. Also near the border of Myanmar, Mae Sariang is a perfect place to unwind and relax. You can hike its hills and valleys by foot or you can tour the area along the Yuam river and the surrounding countryside in a bicycle. To get a glimpse of the district’s panoramic view, you can climb the steps towards Wat Phra That Chom Mon, a remarkable temple in Mae Sariang. Just a little reminder: since Mae Sariang is a relatively isolated town, preparation is vital when planning to visit the area. Check out the tips section later on in this post. Northern Thailand’s take on gorgeous mountain scenery, Soppong offers an amazing trekking experience to tourists. Besides trekking its magnificent mountainous landscape, Soppong has other famous sites that you should visit when in the area, including the Tham Lot underground river and cave. The cave system is 1,666-meter long and allows you to marvel at the spectacular stalagmites and stalactites inside the caves. Touring the village on a motorbike is a convenient way to feel the local vibe and witness its beauty along the way. Since Soppong is elevated at around 700 meters, you can expect chilly evenings. It’s best to carry warmer clothing when visiting, especially in the cool season. Pang Mapha, a small district of Mae Hon Song province, features a circular trek that allows hikers to feel the village life. 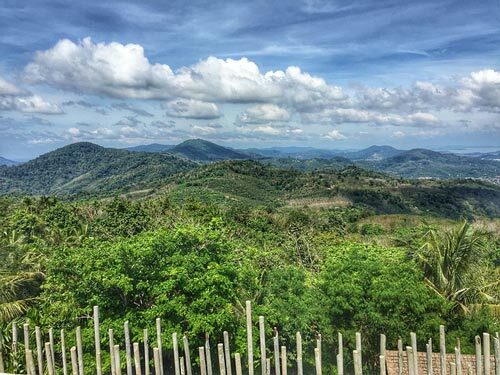 It offers a trekking experience through vast farmland, rice fields and thriving forest, where you’ll encounter medicinal plants and herbs along the way. You can stay at two different villages in the district: Ban Pha Mon, where a Lahu tribe resides and where you can experience Lahu massage, and Ban Muang Pam, home to a Karen tribe who will show you their traditional medicine. The adventure doesn’t stop there, either. Take a raft to explore the Tham Lod cave and marvel at the awesome undergrounds caverns and magnificent stalactites and stalagmites. 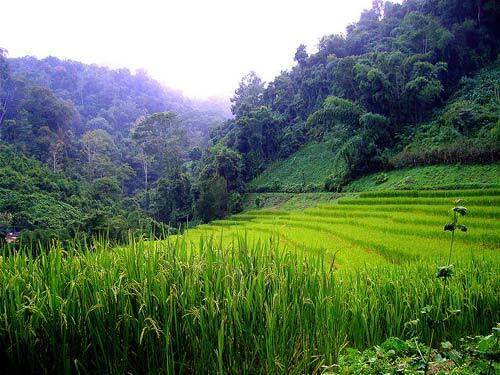 Pai is a lovely village in Northern Thailand that offers lush landscapes for trekking. However, bear in mind that much of the area is open farmland, so you’ll also have to walk quite a distance before you get into hills and forests. As Pai has numerous hiking trails, picking the best one is crucial, especially if you’re not a part of an organized tour. 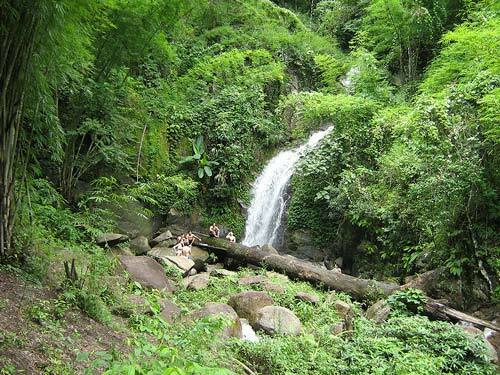 Your best bet for an amazing stroll is the trail leading to the Mae Yen waterfall. 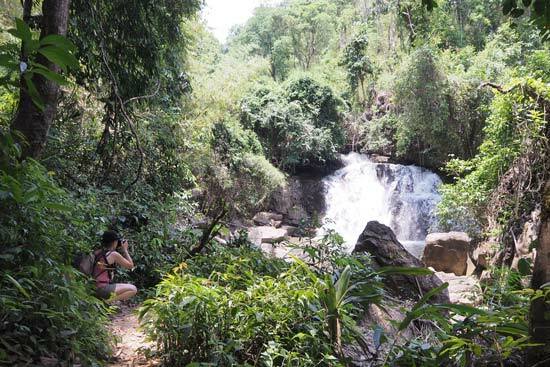 7-km away from the center of the town, Mae Yen waterfall is located in a delightful area blessed with lush gardens, clear streams and magnificent waterfalls. Along the way, the trail presents gorgeous landmarks including the Pai Canyon and the Pai Memorial Bridge. Characterized by the height of its limestone hills and the verdant nature of its paddy fields and farmlands, Nan is a place of intense contrast, and one of beauty. It’s hillsides are dotted with lush jungle, and are home to a number of stunning caves, a host of wildlife, and ancient temples. One of the most beautiful parks in Nan lies just off the city’s major highway — Route 101. Once you arrive at the visitor’s center, pick up a map and decide which of the many caves you’d like to visit. Tham Phra is a good bet and is one of the closest to the center. If you’re feeling adventurous, venture further. Just be sure to bring a flashlight and a sturdy set of shoes (see my essential ‘what to pack' list later on). Situated in the mountains of Phayao Province, this small, remote northern Thai village offers a gorgeous view of a valley. 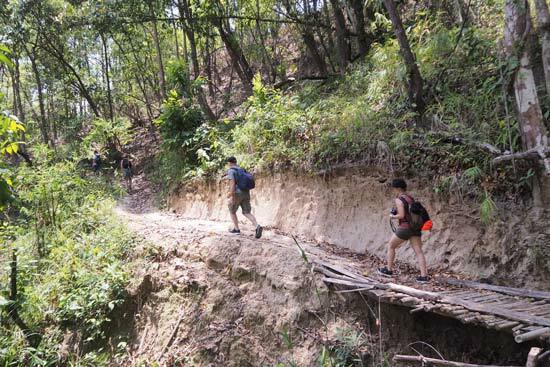 The trails in Phu Lang Ka are quite challenging, so you have to prepare yourself for a rugged, unsteady trekking experience. If you’re the type who loves the excitement of getting off the beaten track, Phu Lang Ka is perfect for you. As you go your way, expect breathtaking sights, including iconic temples, limestone outcrops, a waterfall and even a national park. The beautiful, untouched landscape of Phu Lang Ka is a sight to behold. Here’s a tip: wake up early in the morning to witness the spectacular sunrise over a misty village, or stay out in the afternoon and marvel at the stunning sunset. The Khao Yai National Park is a UNESCO World Heritage site that offers an off-the-beaten-track hiking experience with some of the most thrilling trails. The park’s jungle is dense, making it hard to navigate, so going with a guide is a preferable and a must beyond 3 PM. Khao Yai treats your eyes to an amazing, diverse flora, and trekking trails that stir the dauntless explorer in you. Some trails lead to Heo Suwat waterfall, the most popular waterfall in the park. There are two popular campgrounds in Khao Yai: Pha Kluai Mai and Lam Takong. Camp in a group, and preferably with a guide. Khao Sok National Park is home to everything you can ever dream of encountering when trekking: ancient jungles, limestone caves, beautiful campsites, spectacular waterfalls and emerald lake waters. Furthermore, the park is part of the country’s wildlife preservation program. As an adventurer who loves all things exhilarating, the 11-km jungle trek along Khao Sok is a must. Be prepared for some stunning flora and gushing waters. The trail takes you to exciting climbs and slopes and treats your eyes to the awe-inspiring surrounding scenery. Since you’ll be going deep into the jungle, leeches are a common companion. Carry some salt and you’ll be good to go. Or get those leech socks I recommend in the packing list! A protected park in Southern Thailand, the mountainous Khao Luang National Park is well-known for its beautiful waterfalls spread out all over the area. The park is also the path leading to the highest peak in the southern part of the country, the Khao Luan Mountain. The Khao Luang trail is paved and therefore starts off easy, but it will progress to a more challenging hike of crossing forests and streams. The trail offers amazing biodiversity, including a wide range of flora and some fauna. Watch out for steep paths and keep your eyes open for the breathtaking vistas. Trekking with a guide is the best way to explore the park. Located approximately 65-km north of Khao Lak, Sri Phang Nga National Park has a total area of 240 square km. For the most part, the park features a virgin forest where a variety of fauna such as mouse deer and wild pig thrives. The trek consists of numerous hills, gushing streams and waterfalls and some limestone outcrops. Let your eyes feast on a vast range of plants including mosses, herbs and ferns. You can also spot different varieties of birds along the way. There are numerous hiking opportunities in Sri Phang Nga National Park. The trails will take you to several stunning waterfalls, including Nam Tok Tam Nhang and Nam Tok Tohn Ton Teui. The park offers a basic campground, but you will need your own equipment. You may encounter remote villages on your trek that provide an insight to rural living. Located in the province of Tak, Umphang is one of Thailand’s best destinations for jungle treks. Designated as a UNESCO World Heritage Site in 1999, the location is still one of the country’s most beautiful reserves. Visitors can spot limestone cliffs, the rushing Mae Klong River, and the jungle’s abundant wildlife, such as lizards, snakes and gibbons. If you begin in Mae Sot, you can complete a six-day trek through the wilderness of Umphang — a journey that is well worth the expedition. Many tour operators run through this section of the sanctuary, so consider booking with one. There are a variety of scenic trails, but take one that leads you past the Tee Loi Su waterfall — Thailand’s largest — and continue on to the small town of Palatha. From the jungle to the waterfalls, it’s an experience you won’t forget anytime soon. Kamphaeng Phet is a sleepy, but beautiful, province near the center of Thailand. Deeply religious, the province is home to a number of natural and cultural attractions. A former provincial capital, the area also has quite a few ancient ruins, making it the perfect place for exploration — without the crowds. Upon entering Mae Wong National Park, you’ll have to prepare for the multi-day hike to Mokoju Mountain. You’ll likely want to register with a tour company to make the trip smoother. Once at the park, you’ll trek through beautiful forests, over sloping hills, and past Mae Riwa waterfall before you reach Mokoju. This is no mean feat feat, but one that offers a stunning view to anyone who attempts it. Sangkhlaburi may be less visited among other trekking destinations in Thailand, but it offers different trails for different fitness levels and is very interesting. 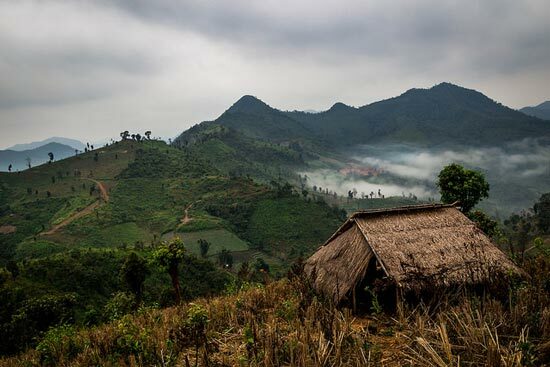 The forest around this area is wilder, and the most adventurous trail you can opt to is a week-long trekking along the Myanmar border, staying in Karen hill-tribe villages as you go your way. You will explore exotic jungles, cheerful rivers and amazing waterfalls. You can also have a glimpse of tropical Burmese living, as well as marvel at the vast, untouched land. 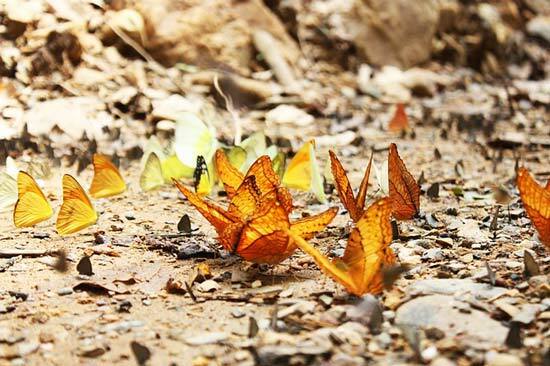 Sangkhlaburi offers a secluded trekking experience, and the isolation only adds to the district’s mysterious charm. Located on Thailand’s westernmost side, Kanchanaburi is characterized by its gorgeous forests, flowing waterfalls and picturesque towns. It’s also home to beautiful national parks and even a few lovely vineyards. A hop, skip and a jump from Bangkok, Kanchanaburi is perfect for city folk looking to escape the bustle of the city for a day or a weekend. 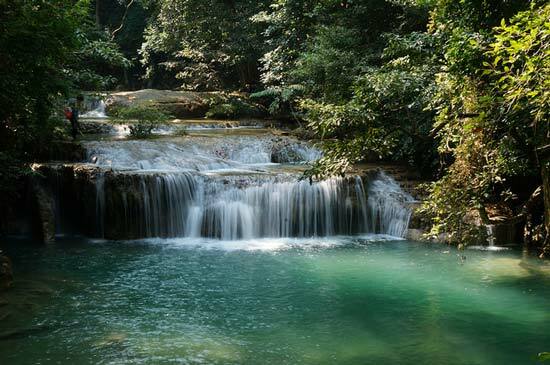 Erawan National Park is one of the most beautiful in Southeast Asia — due in part to it’s stunning turquoise waterfalls of the same name. To access the falls, you’ll need to travel to first travel to the national park (a 3 hour drive from Bangkok). From there, you’ll head to the visitor center where the trailhead starts. Note that because the waterfalls are tiered, the end of the trail will be quite strenuous, so you should wear sturdy shoes and be prepared for a steep climb. All in all, it’ll take hikers about an hour and a half to reach the top of the stunning falls. Be sure to wear mosquito repellent! While many exciting trekking opportunities are found in northern Thailand, that doesn’t mean the south coast is void of them. One remarkable national park that offers wonderful hiking trails is Koh Pom on Koh Samui. This popular, and second-largest island in the country, provides tourists a striking balance of visitor amenities and abundant flora – the reason it’s still considered a charming destination despite the large number of tourists. Khao Pom, an uninhabited mountain situated in the center of Koh Samui, provides thrilling trekking opportunities in the island. Trekkers can explore the exotic jungle and witness a panoramic view of the island. The largest island among the 51 islands that make up the Tarutao National Marine Park in the Strait of Malacca, Koh Tarutao houses extreme cliffs, vast beaches and ancient jungles that thrive on mountains. All these make it perfect for trekking and exploration. The island is close to the Malaysian border and is made up of 85% water and 15% hilly and rocky landscapes. Expect the treks to be not-so-steep and relatively less challenging, but keep yourself alert to wildlife. Treat yourself to marvelous waterfalls and spectacular beaches and sunsets when you visit the island. You can rent or buy a tent within the forest area. Before you go trekking, it is always a good idea to read up on the local area and any potential hazards you may come across such as cliffs or waterfalls. Consider the wildlife known to be in the area and how might that present a hazard if you were to come into contact? Orientate yourself by studying the local area with a map. Look at the trail you will be following and where it is in proximity to roads, villages, shops and exit points that you could head to if you were to get lost or needed to get help. I'm not saying this to make you worry, but this knowledge of the local area will make the experience more enjoyable, as you will be more confident that you will know what to do in case of an emergency. It sounds obvious but you'd be surprised how many people forget. Most trekking companies provide refreshments, but this is usually done at breaks when you arrive at a village or rest-point. If you are trekking alone, you need to make sure you carry at least 2 litres of water. This could save your life. Again, this goes without saying, but again, you would be surprised how many people forget to bring it with them, or don't bring enough and end up running out. You may not come across a local shop that sells repellent for many hours, or even a day or two, depending on the type of trek you are doing. Make a to-do list and check it before you leave for your trek, making sure that you have everything – including insect repellent. Every tour and trekking company in Thailand will tell you how good they are, that they can do everything safely and give you an enjoyable experience. But trekking is not to be taken lightly and safety is paramount. Use a company that offers experienced guides and is well known for organising treks. For trekking in Northern Thailand, book with Chiang Mai Trekking. Be honest with yourself about your level of fitness. Trekking through lush jungle in Thailand is a beautiful vision, but in reality it can be very hot and tire you out very quickly. If you have no experience of trekking, and you are not keen walker, cyclist or runner who regularly does long periods of exercise on a weekly basis, start with small treks of less than a few hours. For norther Thailand, consider booking your trip from October to April (the driest months of the year). November, December, January and February are the coolest months and least crowded. If you want to avoid the hottest months, do not go trekking between March and June. Most rainfall (rainy season) is seen in May, June, July, August, September and October. Note that certain trails may not be available or accessible during periods of heavy rain. The gear you pack will depend largely on the type of trek you are doing: If you are going on a six-day trek, your backpacking will need more consideration than a trek of a few hours. However, in my experience there is a list of essential gear that you should consider taking on any trek. Print this of or bookmark this page in your browser. Do not go cheap on your trekking boots. You don't need to spend a fortune, but invest in some boots that are designed for hot weather – and make sure they are lightweight. You will need a change of footwear to give your feet a rest from your trekking boots when you have breaks and overnight stays. This change of footwear might be crocs or even flip-flops, but I recommend a pair of very lightweight slip on trainers. These will double up as emergency footwear, should something happen to your trekking boots while on the trail. You may or may not need these, depending on the location. If you plan on wearing shorts, it may be a good idea. Leeches are generally not a problem when it comes to transmitting disease, however; bacteria, viruses, and parasites from previous blood sources can survive within a leech for months. Leech socks will also minimise your exposure to bites from other insects and animals that you may encounter. If you are trekking in an area where leeches are not a problem and you are unlikely to come into contact with insects that may bite, then you can just travel with lightweight trekking socks. A belt is great for efficiently carrying your bits and bobs, particularly important things like your keys and phone. You might also choose to keep a flashlight in there and some emergency high-calorie munchies. You don't have to go for a specialist trekking belt. There are some cheaper option running belts, some which also hold a water bottle. These may be provided if you need them, but I wouldn't leave that to chance. 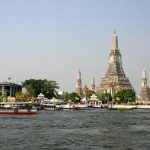 If you need a walking support, or you are not very confident in your fitness and would like some extra support to guide you along, fly out to Thailand with a pair in your bag. I personally like sticks because it gives me something to prod areas of the ground or forestry that I'm unsure of, before taking my next step. You are probably thinking that you won't need a light because you will be trekking in the daytime. Think again. Never go on a trip without a flashlight. I even take a backup in my backpack. If the worst were to happen and you were to be separated from the group, this flashlight will save your life. It will alert people to you, it will scare off potentially dangerous animals, and it will allow you to usual map and navigate your way out of the forestry. Amazon do some fantastic deals on high-powered, portable flashlights. Take spare batteries too! this might sound old school to you, but believe me, like the flashlight these things can save your life. They are lightweight and easy to carry and put no extra burden on your backpack. One thing people often forget in this day and age is that your mobile phone will likely not have reception when you are trekking. It may do, but it is not enough to rely on maybes. Always carry a good map of the local area. And along with that map you will need a compass. Always take both. You may not need the toilet when you are walking, but the places at which you stop off and rest, be they local shops or villages may not have toilets that are quiet of the standard that you are used to. So carry some wipes and antibacterial gel with you. You will sweat, often buckets, trust me. A normal small towel will do, but personally I prefer this slightly upmarket version because it's quick drying and super comfortable for wiping the sweat off your head and body. The towel also has antibacterial properties, which is ideal if you aren't able to wash it for a few days. Always carry a plastic bag. It doesn't need to be plastic, but make sure it is recyclable. The important thing is that you do not leave any rubbish anywhere you go. The rule of trekking, camping and being in the great outdoors in general is that you always leave nature as you found it. We have polluted the earth enough without adding any more! Trying to figure out where to book your trek? Start your search here!